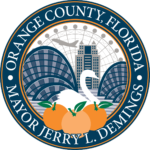 WHAT: The first meeting of Orange County Mayor Jerry L. Deming’ Housing for All Task Force will be held on Friday, April 12, 2019 from 9 a.m. to 11 a.m. The meeting will be held at the Orange County Administration Center at the Commission Chambers, located at 201 S. Rosalind Ave., Orlando. The Task Force is led by co-chairs Allan Keen and Terry Prather along with 37 members representing the community, leaders from a diverse group of non-profit organizations and major employers, local builders, real estate developer associations, community partners and financial institutions. All Task Force meetings are open to the public, and citizen comments are welcome at the beginning of each meeting. Meetings will be recorded by Orange TV, but will not be live. A link to the meeting will be posted on Orange County Government’s website. The Housing for All Task Force includes three subcommittees that will meet as scheduled. Each subcommittee focuses on a different aspect of the affordable housing issue. For more information and a full list of Task Force members, visit www.ocfl.net/HousingForAll. WHEN: Friday, April 12, 2019 from 9 a.m. to 11 a.m.